We have kittens! Kittens will be ready in a few short weeks, place your deposit now! 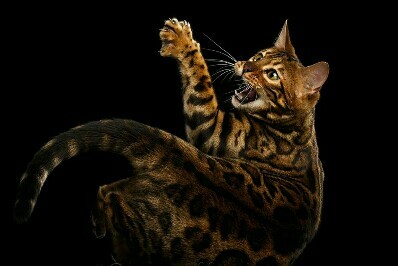 stefni.denton@gmail.com Our goal is to help you get the best Bengal pet with the best start possible: people, dog and cat friendly, a health guarantee and a great Starter Kit...all for a reasonable price. $300 deposit reserves your kitten. Instant fun, just add a bengal to your life! We are a small hobby breeder, with only 3 Bengals. We focus on quality, not quantity. Raising exotic looking, top quality Bengals that are friendly and social. Our Bengal kittens are born and raised in our home as family members, not in out buildings or sheds. Our Bengals are F4 or higher in generation. Our kittens come with age appropriate vaccines, de-wormed, spayed or neutered, TICA papers and health guarantee. Located in Iowa.